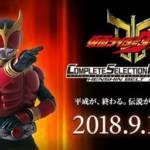 Complete Selection Modification Kamen Rider Kuuga Arcle Details Revealed! The next entry in the Complete Selection Modification series has been revealed in full! The Arcle Belt belonging to Kamen Rider Kuuga will be recreated in exquisite detail, just in time to celebrate the Heisei Era that Kuuga kicked off. And one more accessory is included as a special bonus- the mobile phone belonging to Kuuga’s partner Kaoru Ichijo! The CSM Arcle is currently scheduled for release in March 2019! The price is a very modest 27000 Yen before shipping and handling. 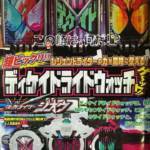 Complete Selection Modification Kamen Rider Kuuga Arcle Belt Teaser Posted Online! Bandai Japan has released a quick teaser for the next entry in the Complete Selection Modification collector series recreating the most iconic Kamen Rider belts & accessories. This time, CSM heads back to the very beginning of the Heisei Era– with the Arcle Belt belonging to Kamen Rider Kuuga! No release details have been announced at time of writing, but an official reveal is tentatively scheduled for September 2018. Stay tuned to TokuNation as we keep you up to date on all Complete Selection Modification reveals! And we’re back! After a brief hiatus as well as our special all-star 500th gallery celebration, we’re back to regularly scheduled programming. And the first gallery to kick off the next generation of TokuNation reviews is S.H. 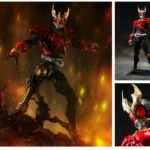 Figuarts Shinkocchou Seihou Kamen Rider Kuuga Ultimate Form! S.S. Kuuga Ultimate was a recent web exclusive release that finally forced us to reexamine and trade up from the ancient original Ultimate release. Seihou Kuuga Ultimate is perhaps one of the most powerful looking figuarts, straight out of the box, I’ve ever seen. You can practically feel it in the sculpt. This is an excellently designed and executed figure that belongs in any collection. But Kuuga fans in particular will be able to feels Godai’s essence oozing from this figure. It’s a must own. In the full gallery linked below you can enjoy over 60 images of S.H. Figuarts Shinkocchou Seihou Kamen Rider Kuuga Ultimate Form. 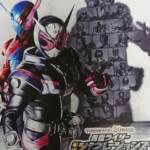 Just click “Discuss on the TokuNation Forums” at the bottom of this article, and enjoy! We’ll be back in a few days with another Gallery 2.0 re-do with another classic release, S.H. Figuarts Deka Red!